6th Project with Tyscot mixes Gospel, R&B & more! 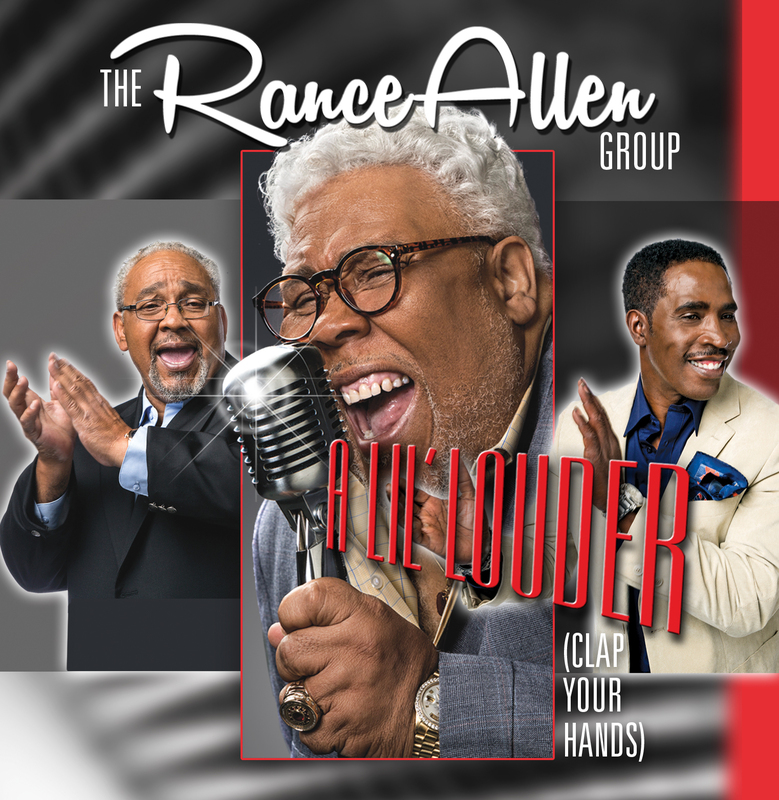 *(Indianapolis, IN) – Yes, you’ve heard the buzz that the legendary Rance Allen Group has been in the studio and the group’s debut single “A Lil’ Louder (Clap Your Hands)” is nothing less than a gospel hit. Fans of the Stellar award-winning Rance Allen Group (RAG) will hear a fresh, new sound from one of the most successful gospel trios in history. Backed by the stratospheric falsetto of Bishop Rance and brothers Thomas and Steve, “A Lil’ Louder” will excite loyal fans and attract new listeners who crave the kind of gospel sound that makes it impossible to stay seated. The single sets the tone for the much anticipated RAG project. Co-written by Floyd “Timeless” Thomas and Rance Allen, A Lil’ Louder (Clap Your Hands) reminds listeners to clap hands, stomp feet and raise their voices in praise to God for the good He’s done. Visit www.tyscot.com to listen to A Lil’ Louder (Clap Your Hands). Tyscot recording artist, The Rance Allen Group (RAG) is one of the most explosive groups to emerge on the gospel scene in the 1970s. Their sanctified soul hits such as “Ain’t No Need of Crying,” “I Belong To You,” and their consecrated cover of The Temptation’s “Just My Imagination” placed them in a pantheon of deep soul artists like Otis Redding and Isaac Hayes. In the decades since, the Allen Brothers (Rance, Tom and Steve) built on their strong foundation with the R&B crossover smash “Miracle Worker,” “Do Your Will,” and “Something About The Name Jesus.” Their sacred-secular musical fusion, chunky harmonies, lyrical messages of faith and fraternity, and Rance’s stratospheric falsetto have made them standout as one of the most dynamic groups to ever shuffle across the stage of Harlem’s famed Apollo Theater. Their legendary song has earned the Monroe, Michigan natives two Stellar awards, including the Dr. Bobby Jones Legend Award, three Grammy nominations, a Soul Train nomination and an induction into the International Gospel Music Hall of Fame and Museum. Currently residing in Toledo, Ohio with their families, the group continues to tour and minister through music across the country. The 2014 album release marks the group’s 6th recording project with Tyscot. For more information and updates on The Rance Allen Group, visit www.tyscot.com.